This is the third outpost in India, after Bengaluru, and Mumbai (Lower Parel). Queen of Deccan, Toit, enters Pune by opening first outlet at Kalyani Nagar. The brewery opens a 250-seater taproom, with its 6 signature craft brews and specials and a menu inspired by international pub classics and Bangalore’s local cuisine. This is the third outpost in India, after Bengaluru, and Mumbai (Lower Parel). Toit promises a warm and friendly experience, successfully bringing together a happy and buzzy vibe. 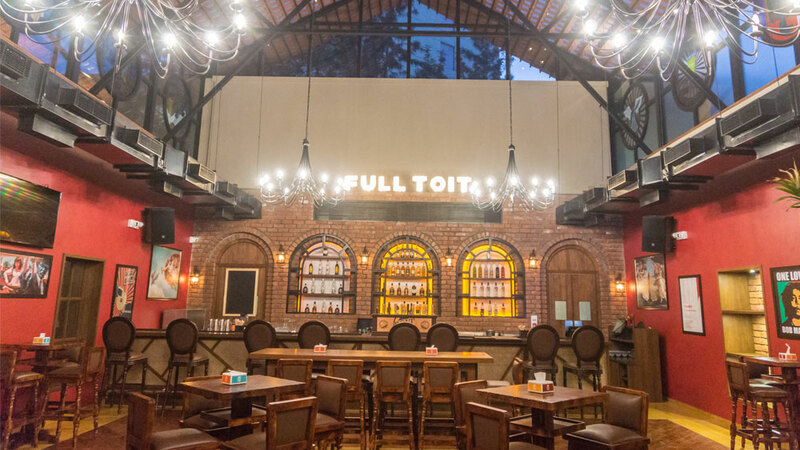 Toit in Bangalore produces the highest volume of beer for any single location in India and they bring their award winning brews in Pune. “Craft Beer is a revolution in India and we invite everyone to be a part of it. We love experimenting with our food and beer not for the sake of it but for the fun of it,” shared Sibi Venkatraju, Co-Founder, ph4 Food & Beverage Pvt Ltd. The bar offers a selection of 6 signature craft beers. The Basmati Blonde, a light and crisp refreshing ale which is the love child of India’s beloved Basmati Rice and German Pilsner Malt. The Tintin Toit a refreshing, Belgian-style fruity ale with refreshing sweetness, citrusy notes and a hint of coriander. The Toit Weiss is a full-bodied, refreshing Bavarian wheat ale with a moderately strong banana and clove flavour that comes from the yeast. Colonial Toit is the classic English Pale Ale, with a well-balanced flavour and aroma between caramel malt and citrusy hops. Kilnaleck Red is a full-bodied ale with caramel richness, and dry fruit flavour and aroma coming from a combination of hops, yeast profile, and caramel malt. While The Dark Knight, is Toit’s legendary, Guinness counterpart (as most people would like to say) a dry stout with a rich chocolate and roasted aroma from the dark malts, balanced with slight sweetness. Coming new on the list of signature brews is The Pune Lager, a clean lager with complex maltiness, rounded bitterness and subtle spicy notes. That’s not all, the traditionalists can also find, classic cocktails, an extensive wine list available by the glass and bottle, single malts, and other premium spirits. “Toit's brewing philosophy is to brew true to style world class beers that showcase the finest brewing raw materials selected from Europe and the US. While brewing classic styles of beers, we also like to experiment with locally grown and sourced ingredients to give its beers a special Indian touch,” adds Brew master Christopher Champalle. However, the viking of Toit’s novel Pune experience is its pub cuisine! The menu spans classic pub cuisine and specials from the award winning ‘The Permit Room’ in Bangalore. “The cuisine ideology at Toit goes hand-in-hand with the brews, our food offering is classic comfort food presented in a very approachable pub format,” points Chef Kavan Kutappa. The swanky Toit Pune will reinstate Pune’s history as it finds home in an 80-year-old building that was the Aga Khan Stable. The bungalow has been re-purposed as a bar keeping in mind the core design element of a century old rock, which has been used to design the boundary walls in an interesting pattern. Along with a bungalow is a large beer garden area situated under an old Banyan tree. With multiple sections that further elevate its beauty, the brewpub has taken local weather into cognizance and cleverly designed outdoor and indoor seating clusters at different levels that afford unhindered view of the outdoor bar and the stage. Adding an old school charm are exposed bricks in organic patterns across the walls that are overlooked by a ‘decades old’ Banyan tree that spreads its branches across the property, making it a perfect spot to relax in hot summers.